Howza students Muzaffer and Syeda discuss finances for a Howza Students. Being a Howza Student means you’re going to have budget extra carefully. Being away from home in a foreign country is not always easy! What will your monthly expenses be as a Howza Student? What about if you have children? What about their school fees? What’s the difference between Tomans and Rials? Howza Life: What is Muharram like in the Islamic Republic? What is Internet like? Hit new show about two Howza students (Muzaffer and Syeda); a married couple who have ventured out to serve the religion of Islam by studying in the Holy City of Qom. 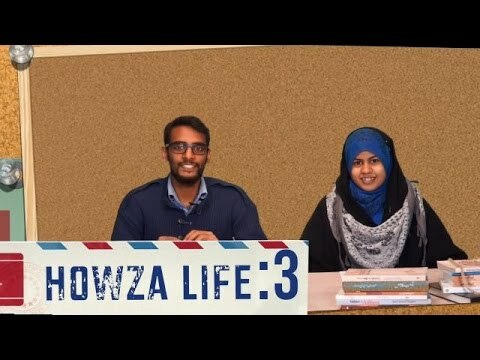 For the 5th installment of Howza Life, students Muzaffer & Syeda discuss their daily routine. Other than intensive studying, what does the daily routine look like for a Howza student studying in the Holy City of Qom? What do Howza students do in their free time? ...or do they even get free time? QOM: A Revolutionary Howza | Imam Ayatollah Sayyid Ali Khamenei The Howza (Islamic Seminary) of Qom is the fountainhead of the Islamic Revolution. The enemy knows it as well. There exist motives and currents adamant at separating the Revolutionary spirit from this hub of Revolution. The Howza of Qom must remain Revolutionary and continue to constantly emanate the rays of Revolution globally. The Leader speaks. 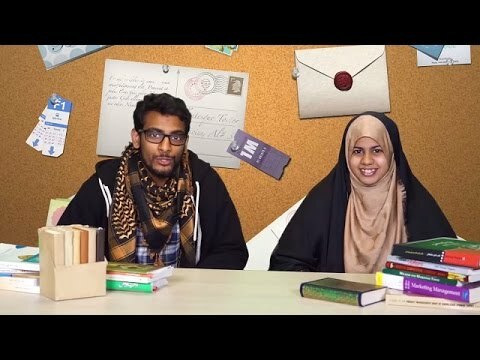 Muzaffer and Syeda give you a peak into the life of Howza students as they prepare their student house in Qom for a Majlis. The Leader called on the Howza (Islamic Seminary) to remain Revolutionary. What does it mean? 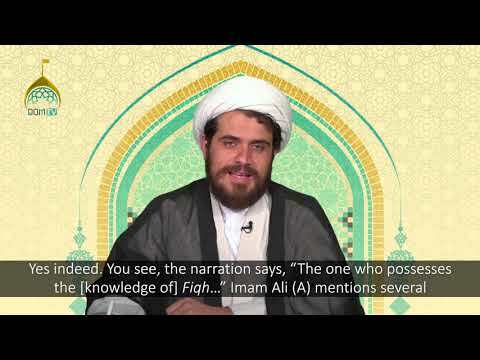 Ayatollah Misbah Yazdi explains it eloquently. This clip is primarily for the students of Howza and the Islamic scholars busy in preaching Islam. Interview with Brother Sohail, who among thousands of others from across the globe, has joined the Islamic Seminary of Qom. Howza Journals with Shahzad Hasan. A Howza student discusses how he wishes to serve Islam by breaking out of the conveyor belt system. A war veteran and the likes of Shaheed Hojaji are a source of inspiration for him. Students from all backgrounds and cultures come to study Islam at the Howza. Sometimes, it might come as a surprise that many students are not after becoming traditional scholars. Islam caters for all the needs of the human race collectively. Whether ideological, military, cultural or economic, Islam has the solution to every problem. 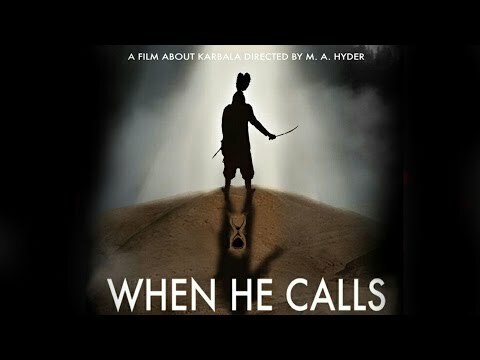 Inspirational new show about two Howza students (Muzaffer and Syeda); a married couple who have ventured out to serve the religion of Islam by studying in the Holy City of Qom. 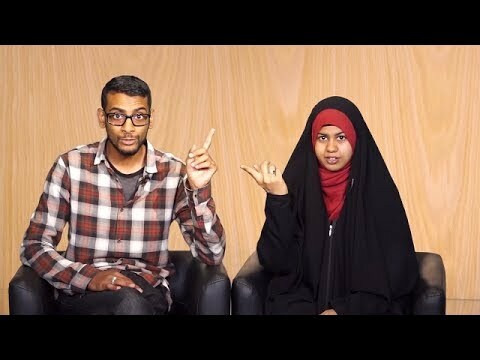 In this episode, the couple discuss what the food is like in the Islamic Republic and what it\'s like living as students and spending money on food on a daily basis. 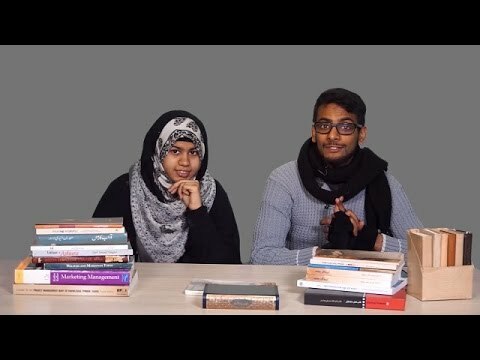 In this episode, the lovely Howza couple discusses your lovely (and not so lovely) comments. Remember to share, stay tuned and keep us posted inshallah! For the Islamic Revolution to sustain and stay effective, the Howza of Qom, and all the Islamic seminaries at large, must stay Revolutionary. 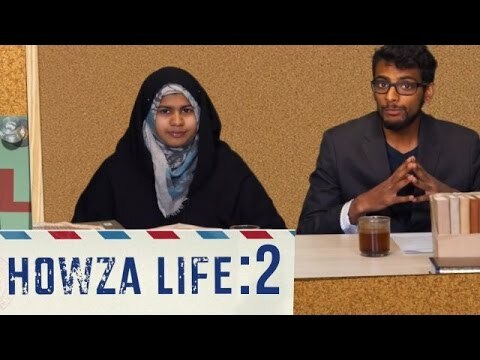 Sister Kirsteen James (AKA Zaynab) asks us all the significant questions she has about Howza Life. It being her very first Moharram in Iran, she finds her experience to be inspirational and has already grown attachment to the Islamic Republic! Howza Journals with Shahzad Hasan. Fresh out of the Philippines, Sayyid Ali Riza is one of the many youths out there who were inspired to join the Islamic Seminary of Qom, Iran. He shares his inspirational story with us. Ah... so that\'s where they get their books from. Howza Life can be hectic! Balancing studies with administrative procedures and exploring hospitals, Muzaffer and Syeda give you a glimpse into their lives as students preparing to have their child in the Holy City of Qom. By the grace of Allah, Muzaffer and Syeda have become parents here in the Holy City of Qom. Giving you a glimpse of their experiences of having a baby, the hospital in Qom and the help they received from fellow Howza students. After numerous requests from our fans, Howza Life is back. 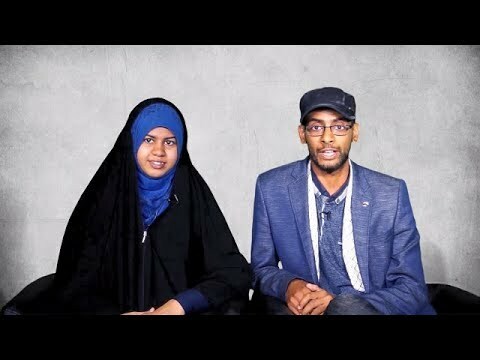 Alhamdulilla, the studious couple are well and have been busy entertaining their guests, visiting Mashhad and sorting out paper work and vaccinations for their daughter… as well as their latest venture which has kept them preoccupied (they’ll show you about that in the next episode inshallah! ), but rest assured, they’re back! Muzaffer and Syeda move out of student accommodation and into their new house in the centre of the Holy City of Qom. Being Howza students and living in Iran comes with its own trials, tribulations and blessings! We\'re back! 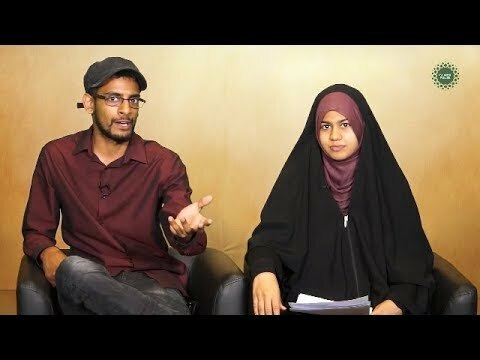 An update - Shiraz, Isfahan & back to Qom | Howza Life Back on popular demand, the student couple give an update on what’s happened since the last episode. The Summer break passed swiftly, and they were busy entertaining relatives from the UK in August. The new term in September threw them into the commemorations of Muharram. And all the while, #HowzaLife has been hectic, getting the newcomer’s paperwork done! 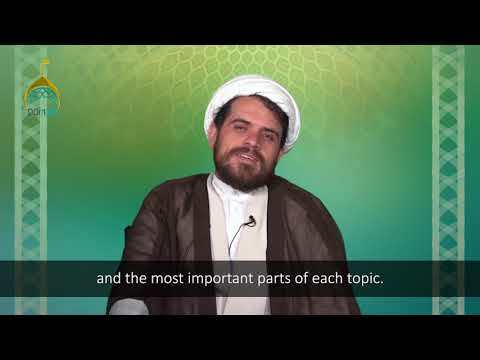 The latest installment of Howza Life discusses the curriculum studied here in the Holy City of Qom.